Mike Munter was born and raised in Baltimore, Maryland. He graduated high school in 1983 and attended University of Maryland, Baltimore County (UMBC) for a couple years before attending trade school. Later, he got his first full-time job as a PC repair technician and in 1988 became a network technician. After getting laid off in 1992, he chose a new career and worked for 12 years in minor league baseball for the Bowie Baysox. He moved to Portland in 2004 and after leaving corporate America for good a few years later, he launched an internet marketing business in 2010. In his spare time, he loves to play chess, spend time with friends, hike, and go to the dog park. Mike writes for his self-help blog when he has something he feels can help others. Well, I have more than one, but gardening is probably the big one. I have a huge space with three 30′ raised beds and four 45′ raised beds. I built most of it myself and enjoy all of the work that goes into it. I started gardening big time in 2009. I had a small bed next to my house and in 2008 I planted some kale and broccoli and they grew great. There’s an undeveloped lot adjacent to his house that gets full sun. Technically, it’s city property, but my neighbor was the one who had to mow it and maintain it. He suggested I garden there, so we made a simple deal: He’d supply the water and I’d handle everything else. 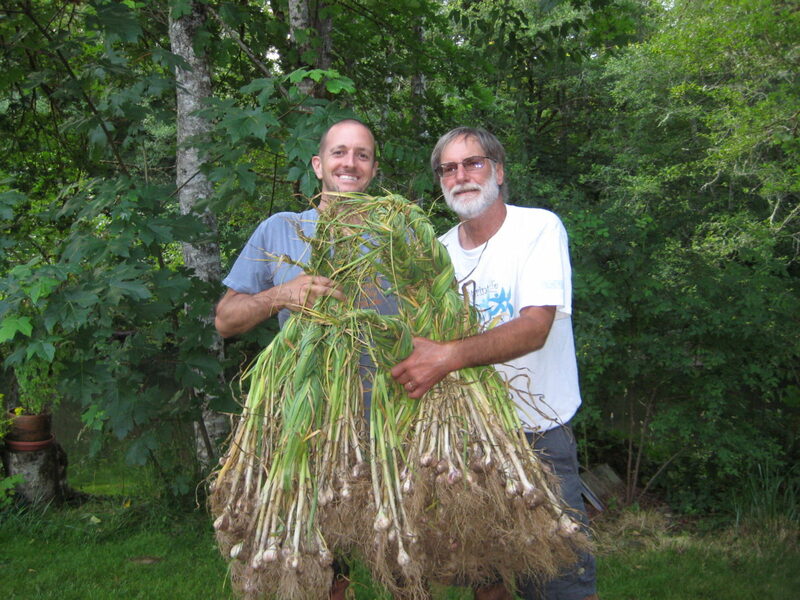 In 2009, we tilled up the 15′ x 30′ area which became the first three beds. Then each year after that, I’d dig a little more and by 2012, I’d built 4 more 45′ beds. In 2016, I put in an irrigation system. There’s always something to do in the garden. I love the cycle of composting all the spent plants, combined with grass clippings, and leaves my neighbor’s kids toss into the pile each Fall. I love knowing where my food comes from and it feels good to know a seed I planted in March is providing food for me, my neighbors, and friends. I feel a deep sense of connectedness to nature through every step in this process. What types of things/equipment have you spent money on for your hobby? Compost, wood, irrigation equipment and seeds. I used to save seed, but it’s just too much work and takes too long – except for fava beans. What are some of your favorite places to shop for your hobby? There’s a place called City Farm near my house in Portland. For a small place, they have everything you need. I’ve also bought wood, supplies, and seeds at Fred Meyer, Lowe’s, and Home Depot. Believe it or not, most of what I’ve done has been trial and error. Most things grow with little effort in the Northwest. One book I still own is Growing Vegetables West of the Cascades, by Steve Solomon. How has your hobby changed your life? Every vegetable I hated as a kid, I now love. I’m healthier in both mind and body thanks to gardening. In the summer, my almost every morning ritual is to walk the garden with my first cup of coffee. I love when friends ask for a tour. I’ve met neighbors I never would’ve known. What advice do you have for others just starting out? Just figure it out. I’ve literally thrown seeds down in early spring and let them go. They grow fine. You can grow in pots if you don’t have room and you can grow plenty of herbs inside your kitchen with little sun.